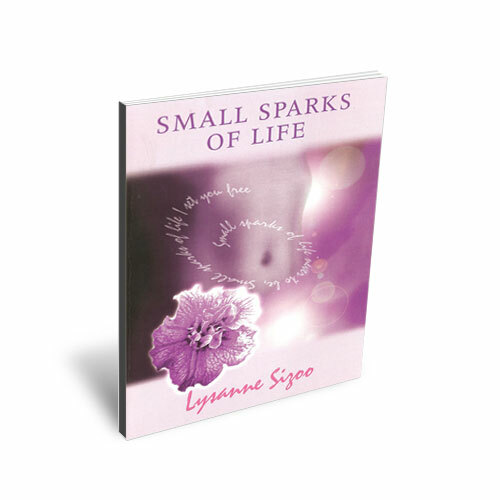 In 2000 Lysanne’s first book, Small Sparks of Life was published. She received positive reviews from Cruse, the UK bereavement organisation and from the New Zealand Miscarriage association, as well as many letters from readers who found comfort in being able to identify with the issues that Lysanne described. Two miscarriages found Lysanne caught in a no-woman’s land where she felt neither the career woman, nor the mother-to-be. At first she was determined to solve her own problems until finally she found and accepted help from a local miscarriage support group. There was joy in meeting other women who were experiencing the same feelings of loss, failure, and even hate, and in discovering that here feelings were a normal part of the grieving process. With the realisation that she was not alone came acceptance marking the start of a healing process. No two women experience miscarriage in the same way but “Small Sparks of Life” faces the same problem in a sympathetic way, not without humility and humour. It will help others to find the courage to face their sadness, and to go on and try again, to reach the climactic joy of birth. I read your book Small sparks of life last week (in one evening – couldn’t put it down!) and I just wanted to write to you and say thank you for writing it…. May I take this opportunity to thank you for your honesty and clarity. I think your book has saved me from a pit of self pity and anger. I now feel I know I am not alone and that it is OK to feel angry and jealous. Yet small spark of Life, you were a gift.